Thermakor Review - Is This 15 Ingredients Fat burner Powerful? Home » Supplement Reviews » Fat Burner Reviews - For Women » Thermakor Review – Is This 15 Ingredients Fat burner Powerful? This Thermakor review is going to separate the fact from the fiction! Is it a genuine fat burner or yet another ineffective supplement? There are hundreds of supposed weight loss supplements out there on the market. All of them claim to work and shed the fat easily. Knowing which one to choose is damn difficult. Thing is, we all want that extra kick to our weight loss program. We want to lose fat, feel energized, drop the pounds and generally look freakin’ awesome! But we don’t want to spend our hard-earned dollars on something that isn’t going to work! In this Thermakor review, I will explore in detail all the information available about this fat burning supplement. Who makes it, how it functions, what the ingredients are and – the bottom line – if it will enable you to drop weight! Thermakor is manufactured and marketed by Kor Nutrition LLC. This company is based in Utah, US. It appears that, at the moment, Thermakor is the only product made by the company. This weight loss supplement is designed as both a male and female fat burner, although there does seem to be slightly more emphasis on the female market. 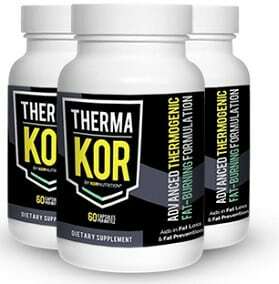 Kor Nutrition offer a 30-day money back guarantee on Thermakor. Basically, if you haven’t seen results in this time, they will refund your money. While in some ways this is a bonus, to me, it’s not long enough. You need to give your body time to adjust to the supplement before seeing real impressive results. Those are some impressive claims, right? Well, this Thermakor review will see if it can meet these incredible targets! Thermakor Review – Does It Work? I started off this Thermakor review a little negatively, stressing the fact that many of the numerous weight loss supplements available simply do not work. The best fat burners on the market contain ingredients which are scientifically proven to shed fat. Fact. Women using these weight loss pills have seen incredible results. Fat drops off easily, energy and mood increase, and they are generally looking damn gorgeous. It’s just that some fat burners out there give the whole market a bad name. Will this Thermakor review show that it deserves to be ranked among the best? Thermakor Review – Who Is It For? It could be that, by the end of this Thermakor review, you make the decision that it’s not the right product for you. However, before you read any further, let me point out who this fat burner, and for that matter, weight loss supplements in general, are designed for! See the last couple of points? They are damn important. Many supplements claim they can drop the pounds without any effort at all – without watching the diet and exercising. Trust me, that’s just hype. If a pill was developed that could do that, the company behind it would be millionaires and spell the end of the weight loss market. When you hear those claims, it’s a supplement to be ignored. A genuine supplement will always indicate that you still need to be sensible about your food intake and remain active. Do this, and the effort that you put in will be repaid over and over by the fat burners. They really are the gift that keeps on giving! So, we’ve seen the promises, but how does it claim to work? In the next part of this Thermakor review you will find out! Thermakor Review – How Does It Work? According to the official Thermakor website, it claims to work through three processes. As I already mentioned in this Thermakor review, for the most effective results, you still need to watch the diet. That means no donuts or ice-cream between meals. Problem is, that can be tough! It’s not just about feeling hungry. Eating foods raises serotonin levels in the body. This hormone provides the feeling of happiness and joy – meaning that every time you eat, you get a ‘reward’ feeling. It’s addictive! So it’s not your fault, it’s simply genetic! The ingredients in Thermakor claim they can suppress these cravings. While you are reading this article, you are burning calories. Not many, but you are burning them (unless you’re eating a cake at the same time). 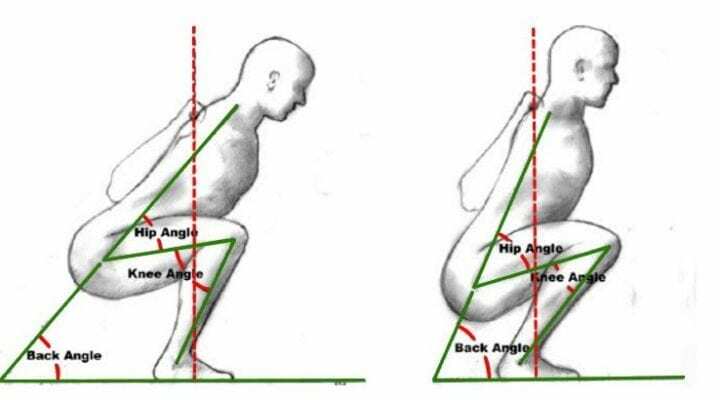 Basically, this ‘ticking over’ calorie burn is your basal metabolic rate (BMR). It measures how much energy is spent while at rest. If this is boosted, more calories are consumed and fat is lost. This increase requires fuel, which it finds in the fat stores. Weight is dropped and you look incredible. Thermakor claims that it can raise energy levels. If it’s true, that’s very useful. With more vitality, you are more likely to hit the gym, exercise or just go for a walk. All of these will contribute to losing weight. It also promises to increase focus and mood. With a positive outlook on life, chances are that you will stick to the weight loss program and get the body you deserve! Those are the claims, but does Thermakor have the ingredients to power these processes? It’s time for an analogy in this Thermakor review! Think of a fat burner as a sports car. They can look amazing, but it’s what’s under the hood that counts! Well, at first glance, this is what you see in the engine behind Thermakor. It contains 15 ingredients, which seems impressive. That should be a lot of fat burning power, right? These ingredients are grouped together in proprietary blends, namely: heat blend, muscle blend and energy blend. In short, these are mixes of ingredients. The issue is, they are not quantified. It’s impossible to see how much of each ingredient is included. Even if the formula is full of scientifically proven fat burners, they might not have sufficient volume to have any effect at all. As the entire capsule is only 695 mg, divide that up between 15 ingredients and it doesn’t seem so impressive. Why would you want to hide the power behind your supplement? Surely if you were confident in it, you would want the world to know, right? Anyway, there also appears to be a couple of different formulations for this product, so I will stick with the one which appears the most popular. A traditional ingredient made from tree bark which has been used as an anti-inflammatory. While it has become popular through historic use, that’s about as much proof as there is for its efficacy. This is a good ingredient and nice to see its inclusion in Thermakor. Packed full of antioxidants, green tea should not be underestimated for its health benefits. And its power continues as a weight loss ingredient. It can also boost BMR and raise energy levels. I’m not too convinced this is an ingredient that should be in here. Firstly, it’s quite a powerful stimulant. It may be ok for men but it’s not really suitable for female physiology. There are much better alternatives. It works as an effective thermogenic to boost BMR and shed fat. Black pepper increases absorption of other ingredients, so they are not passed out through urine and therefore wasted. Although useful, chances are there are insufficient amounts in Thermakor to have any effect. This Chinese herb is reputed to have anti-inflammatory effects and promote weight loss. There are much better alternatives available. I not overly impressed with this formulation. Firstly, none of the ingredients are quantified. Even if they are scientifically proven as effective, their dosage is probably too low. Secondly, there are some ingredients included which have little effect on fat burning and have no scientific basis behind them. And thirdly, it lacks the power of serious weight loss ingredients. In a serious supplement I would be looking for glucomannan, turmeric, garcinia cambogia and cayenne. Thermakor Review – What Do the Thermakor Reviews Say? As you have seen in this Thermakor review, the formulation is not very impressive. There could be something I’ve missed. The real test is whether customers are seeing results from this fat burner. I searched Thermakor reviews bodybuilding and weight loss forums for the evidence. This is the most important question in this Thermakor review. Thermakor did not make our list of the top 5 fat burners on the market for women. Those are the real serious fat burners. Not Thermakor. I cannot even praise it for the fat burning ingredients it does contain, as the dosage is hidden from the customer. Instead, for real genuine weight loss results, find a fat burner that includes the serious ingredients I mentioned earlier in this Thermakor review. Do that, and you will be on the road to the perfect beach body! All the ingredients in Thermakor are natural, so it’s unlikely you will suffer any adverse effects. However, some users did complain of headaches, sleeplessness and feeling agitated. This could be down to the stimulants in the product. Thermakor is available from the official Kor Nutrition Thermakor website and Amazon. Take one capsule, twice daily between meals to check you are ok with the caffeine content. If so, increase to two capsules twice daily. There is no specific UK website, although Thermakor do ship worldwide. If you conducted a Thermakor vs Instant knockout comparison, or looked at Burnertek, you would find they are all about as ineffective as each other. The number #1 fat burner on the market today is Leanbean. This phenomenal weight loss supplement contains incredible fat burning ingredients that will drop the pounds. What’s more, the customer reviews for this fat burner testify to its power.